SAVANNAH'S Jewish community may be America's third oldest and one of its most storied, but it remains a fact that synagogue dwellers will always be a tiny minority in this city. Yet out of all the pastors, reverends, ministers and priests preaching the Good Word out there, y’all somehow elected a rabbi as the favorite clergy of 2015. Perhaps it’s a testament to Savannah’s accepting climate, or maybe you’re all secret gefilte fish fans. It could have something to do with the fact that Rabbi Robert Haas is just such a nice guy. 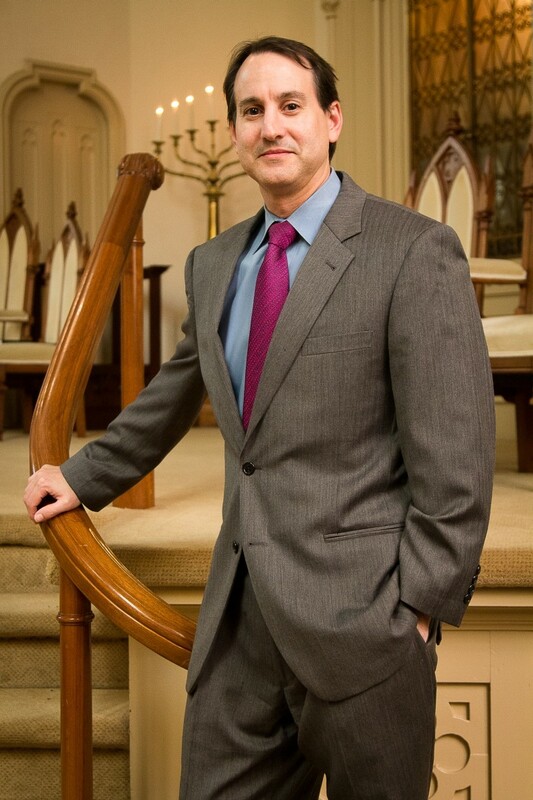 A native of McAllen, TX, Rabbi Haas grew up with Southern grace and has served as the spiritual leader of Congregation Mickve Israel on Monterey Square since 2012. He was ordained at Hebrew Union College in 2002 and studied in Jerusalem at the PARDES Institute of Jewish Studies. He also spent a year volunteering with AIDS patients in Kenya with the humanitarian group American Jewish World Service. Understanding how vital a role religious organizations play in the South, he began reaching out to churches immediately after he arrived. He’s continued the Mickve Israel tradition of partnering with Christian and Islamic organizations and works tirelessly to support a solid interfaith network throughout the Lowcountry. Rabbi Haas often speaks to civic and community groups as well. A fixture at United Way and Habitat for Humanity fundraisers, he’ll also try his hand at stand-up comedy at this week’s event for the children’s advocacy program CASA. Within his own flock, Rabbi Haas regularly visits the sick, teaches religious school and offers continued study for all ages. He’s also been known to show up for holidays in full costume and often peppers his sermons with Star Wars references.